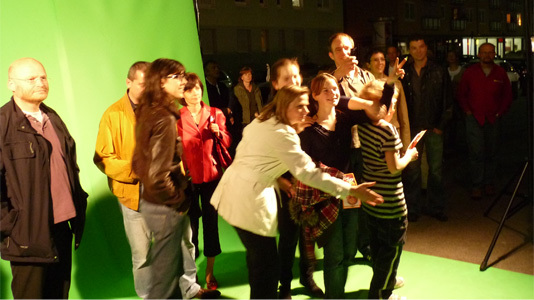 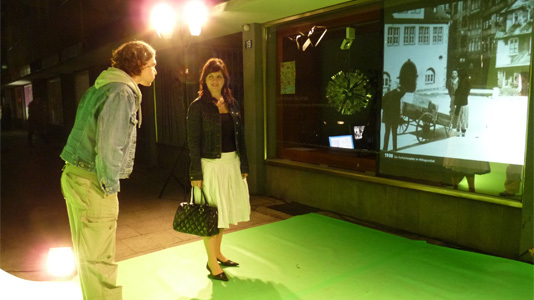 The installation „Is the moon there, when nobody is looking?“ invites individuals as well as groups up to 15 persons for an unusual visuel experience. 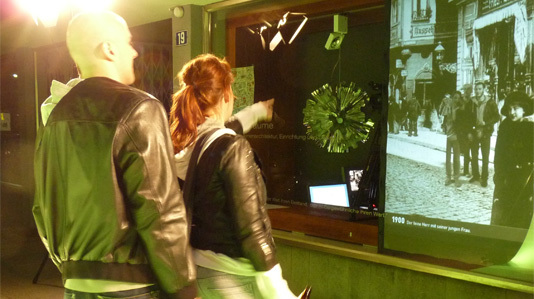 When entering the installation the audience gets transferred into another time. 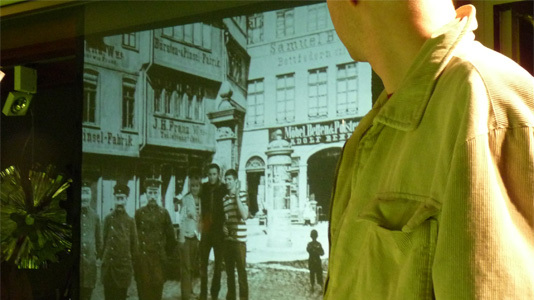 The history of the real location is awakening on different tableaux. 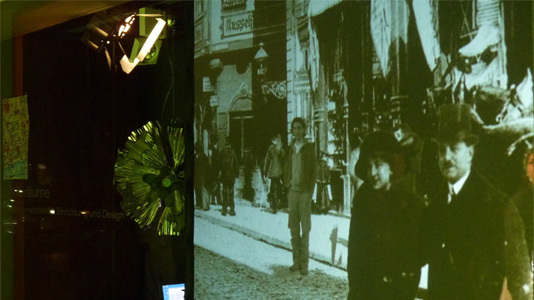 Via „live-key“ the audience is projected on a screen and finds itself in the middle of historic sceneries.